Good evening everyone! I hope you are all having a lovely Thursday! We have almost made it to the weekend and I am so ready! This has been yet again another long work week! When you work 9 plus hours a day, have a hour drive trip, and leave alone so ALL chores fall on you….I stay busy to say the least! This weekend will have a little fun because I will be traveling to North Alabama for a Pyrex Swap Meet and I can’t wait to share with you guys! To hold me over until then I wanted to share an old beauty I recently dug out of my stash. 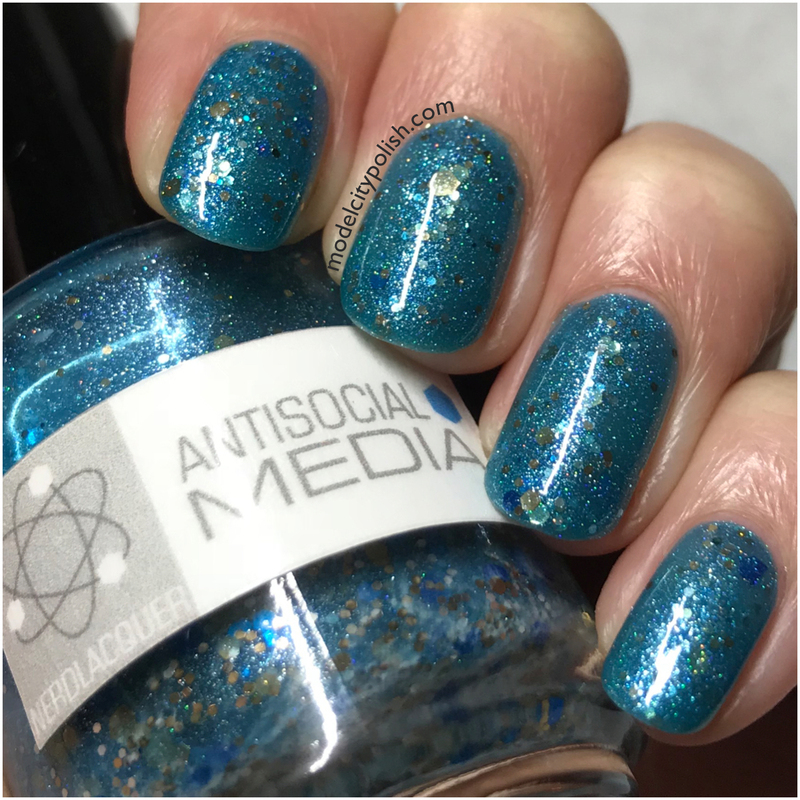 Antisocial Media by Nerdlacquer is one of those old school indies that I just love and wish I saw more of. 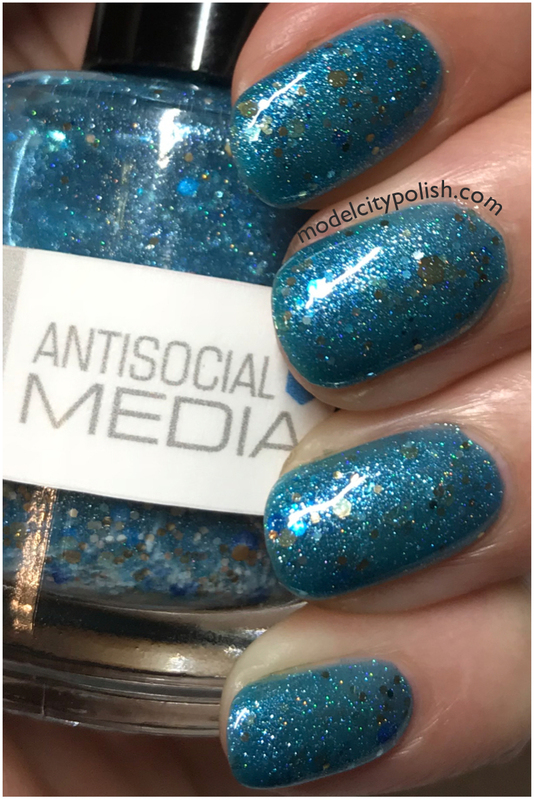 Antisocial Media is a teal blue jelly base packed with blue and gold glitters in various sizes, and a stunning blue shimmer. Application is flawless and even though there has been settling over the years, I still had no problem picking up those glitters. In my photos I am wearing three thin coats of Antisocial Media and one coat of clear. This is a beautiful shade. I don’t wear teals often but this stands out. It’s certainly a unique shade!! That shade of blue is very pretty! I’m not sure how I forgot about this shade- it’s so pretty! It’s so great to see an oldie getting some love! 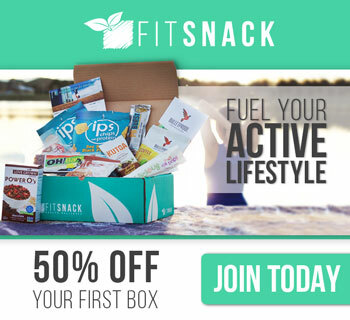 I love traveling down memory land and seeing how things have evolved! Fabulous shade and I’m giggling at the name! What a fun jelly! I don’t own any Nerds but I’ve seen quite a few I like. There was certainly some early controversy behind the brand and I’m not sure if things ever got settled but the few I did buy, I had great luck. I think I have 1 nerd lacquer. This is a gorgeous jelly! 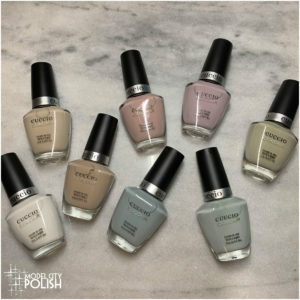 I have a few and they are all pretty old shades. They seem to have held up well overtime. 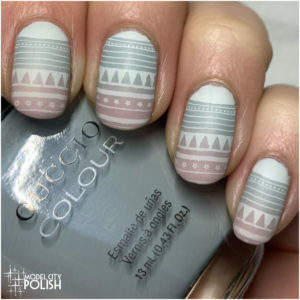 This is a fun shade! A lot to it, and going on in it! I love how much is in it but yet still all ties together and doesn’t come off too busy! 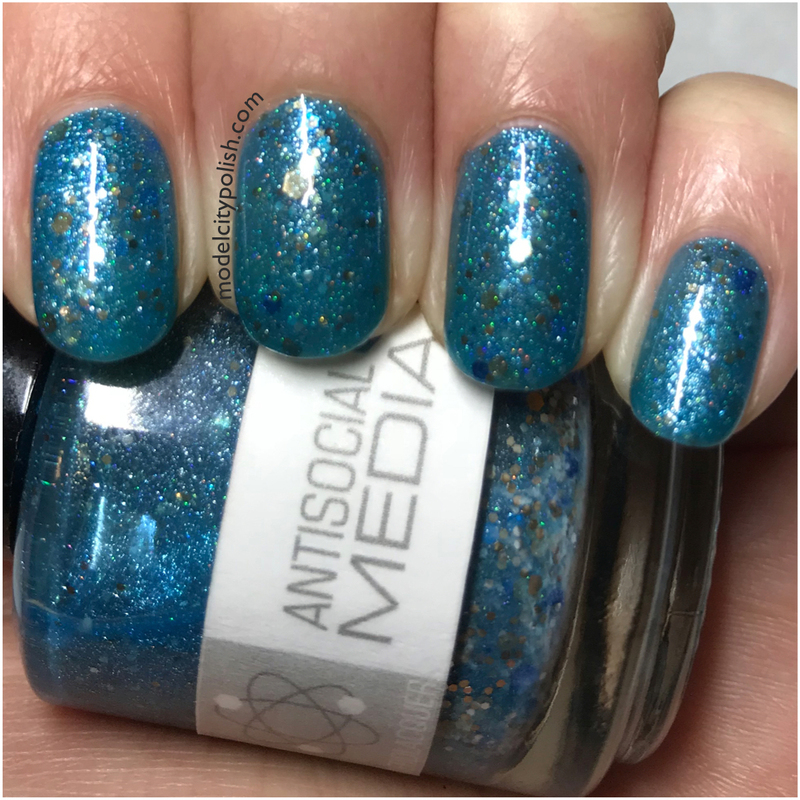 This is an awesome color, Jellies with flakies are soo much fun! So much shimmer!!! I love this kind of combo too! That is a cute color! I love the mermaidy vibes. 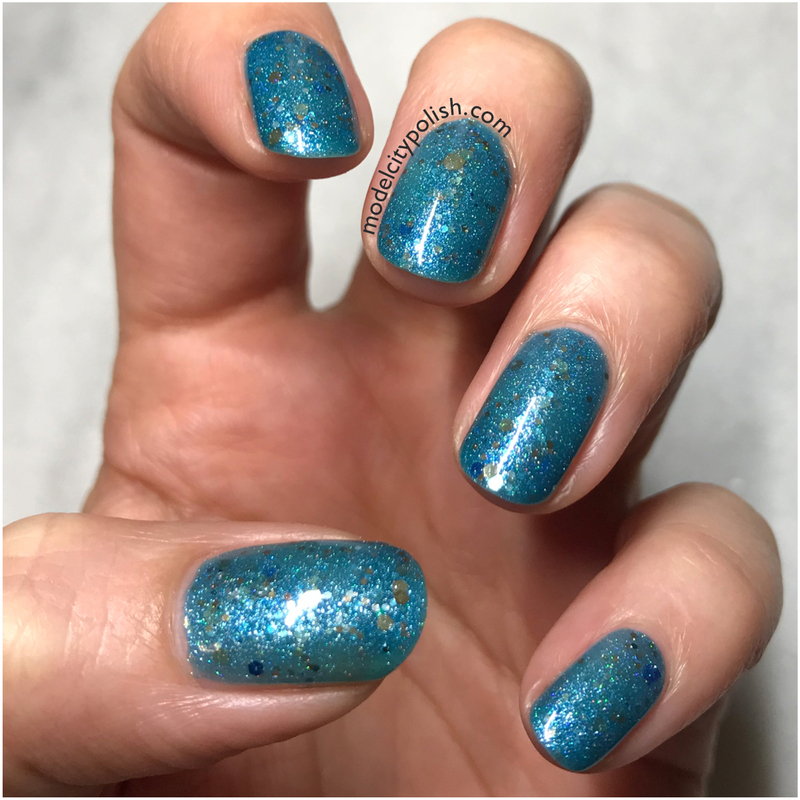 It does have mermaid vibes….maybe that’s why I love it so much! Ooh, I love this! I love digging out oldies, it makes me feel like an indie polish veteran. 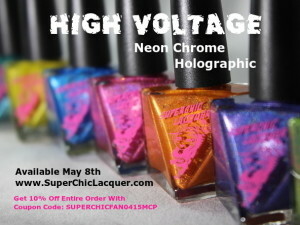 Such a great indie shade, really shows off the whole indie design and how different they are from mainstream lacquers.